Today we left the coastal city of Antalya and head North. We’re all looking forward to our visit to Aphrodisias, but for the men, there is a side trip planned. 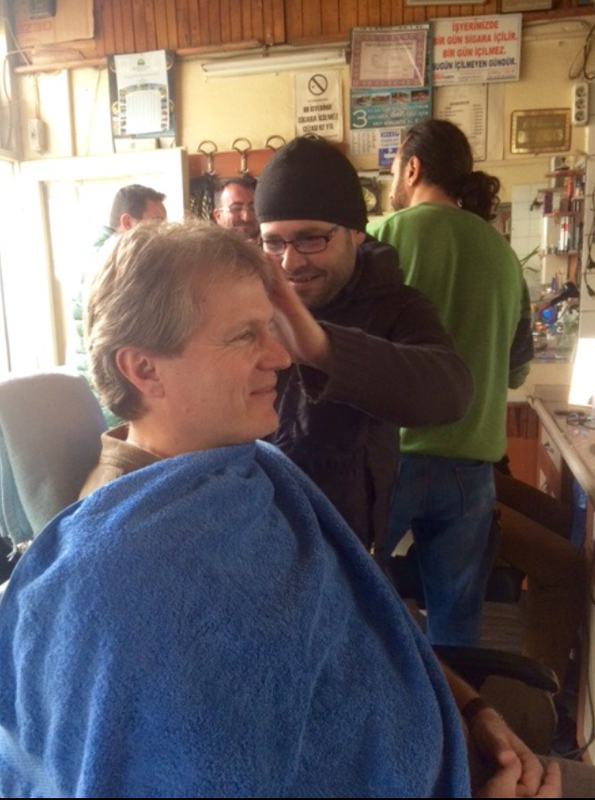 We are all going to visit a Turkish barber, in a small village, to have a cutthroat shave… I am also going to have a haircut. After an hours driving, the word goes out that we are almost at our destination….. The anticipation rises ! We blokes have all remained unshaven for a while and I suspect the ‘girls’ are tired of seeing us look this way. When the bus pulled over, someone cried out ‘before and after !’…. 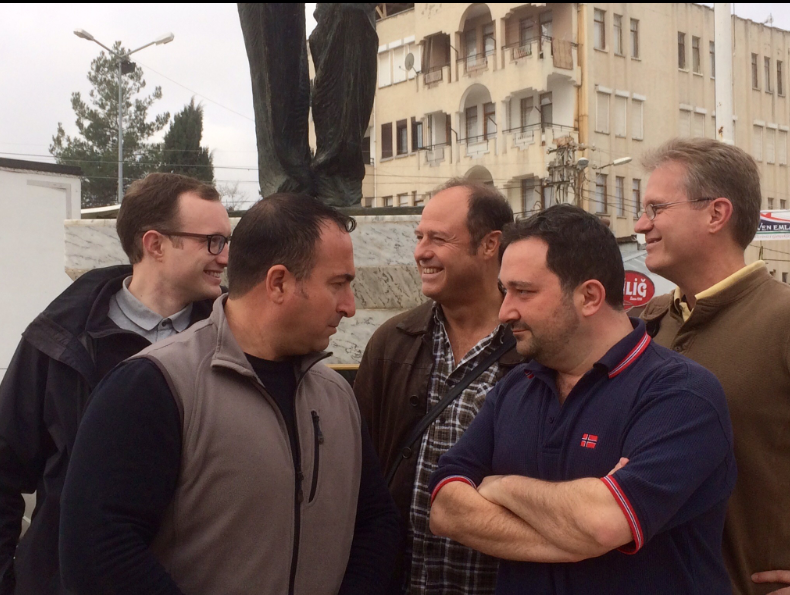 We hairy blokes laughed and stood together as a group next to a statue in the village square, as everyone else clicked on their cameras. We posed for a couple of shots and headed into the village. The girls (who outnumber the blokes by about 4 to 1) intend to go into the village marketplace to explore. We walk quickly into the village and locate the market. As we arrive, there is a call to prayer from the local Imam. He beckons the villagers to trade fairly and to be generous….. The produce looks fantastic !When the prayers finish the unshaven men look at each other… The moment has come. Walking across the street, to the barber shop, I notice that many of the ‘girls’ have joined us. They are apparently very curious about the process. 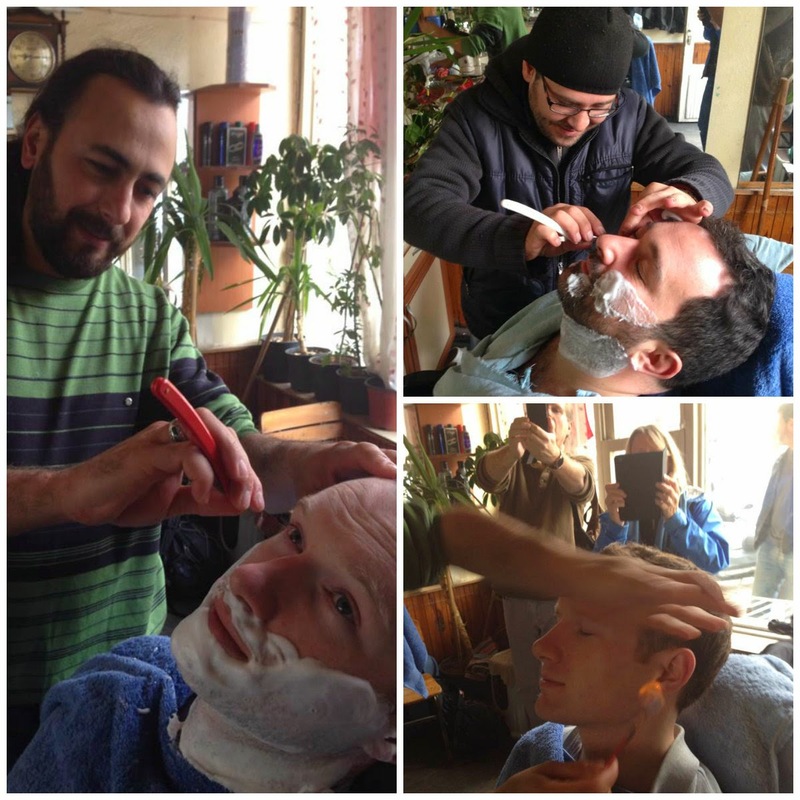 Our fearless tour leader, Mert, introduces us to the 2 barbers and we are seated. 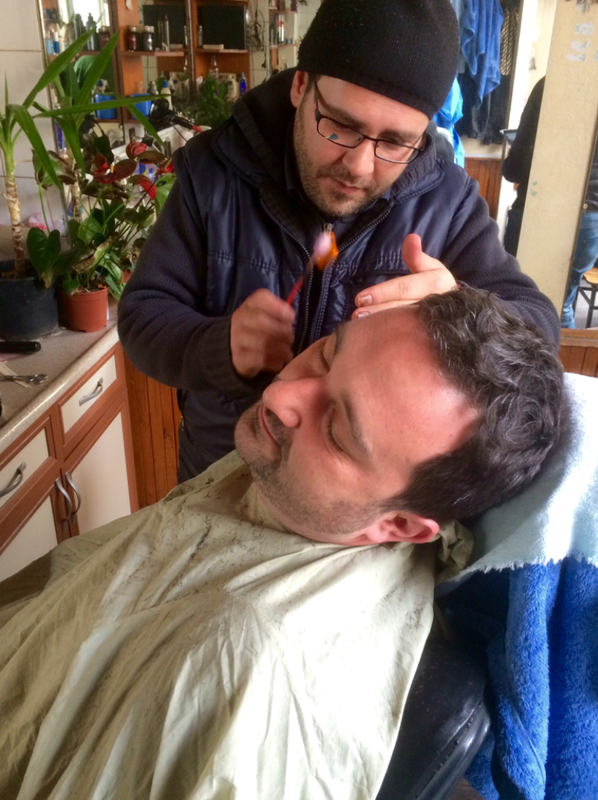 A nervous client looks at us and beats a hasty retreat from the shop…. Sensible ! First man up is Federico….. Will this be a bloodbath ?. Below Photographs ara by Mert TANER.